This March, get ready for Legendary Pokémon to light up your 3DS! 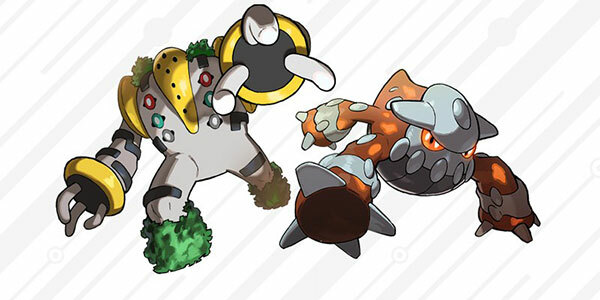 Heatran and Regigigas will be making their way to Pokémon Ultra Sun and Moon and Pokémon Sun and Moon games via wifi distribution. Between March 1st and 24th, log in and make sure you’re connected to the Nintendo Network on your 3DS to receive these two legendaries. Nintendo and The Pokémon Company have confirmed that players with Pokémon Sun or Pokémon Ultra Sun will receive Regigigas, with Pokémon Moon and Pokémon Ultra Moon players receiving Heatran.